How Can A Business Blog Helps You Serve and Attract Customers? Make your blogging relevant: Listen to what customers are saying in meetings and tune in to what's on customer's minds. Blogging carries with it a history of introspection, with bloggers writing about what is going on in their lives and organizations. If your reason for blogging is to attract and engage customers, then your posts need the additional filter of relevance to customers. How does a business blog differ from a personal blog? Blogging about what you are working on any given day won’t necessarily attract more potential customers to your site. But tuning in to the value that customers see in your organization, and using the blog to provide thought, background and ideas related to that perceived value may interest current customers and even attract new ones. Think of a business blog, like Firstsiteguide, as a cousin to the personal blog, rather than as a twin. 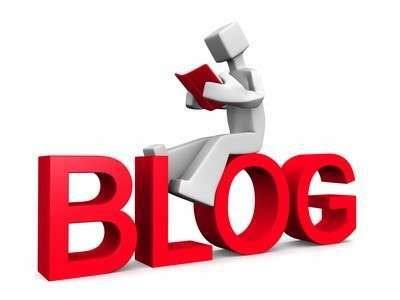 Like a personal blog, a business blog serves as a valuable outlet for personal expression. It helps connect bloggers to customers, providing a direct channel for communication helping to form strong relationships at all levels. But first customers have to care about what you are writing about. So How Do You Know What Customers Care About? Every business has customers. And the more you can involve your bloggers with customers, the more they can hear directly what is on customers’ minds, and then they can write about it. Now, I am not recommending that you share a client’s specific concerns. But you can certainly listen for the issues that clients want to address in meetings, and turn those around into blogging topics. For example, my team and I were in a client meeting last week. The agenda focused on three topic areas: 1) the client’s sales pipeline activities and building a supportive sales culture; 2) processes for evaluating new opportunities and applying resources; 3) marketing messages and web site copy supporting sales for a couple of product lines. These topic areas translate quite nicely into blog post ideas that, by our customers’ attention and participation in the meeting, we can say would be relevant to them. Customers at the meeting leaned in, or sat up and focused on all these points over the course of a half-day working meeting. Listening during meetings with customers can generate specific, relevant topics that simply reflecting on our own thoughts cannot. Companies that want their blogging to be relevant and attractive for new customers should listen to what current customers are saying, and then follow through by writing about it on their blogs. This also implies that your employees should blog about the aspects of their jobs that require interaction with customers. And when that is not possible, customer-facing employees should identify and share topic areas based on what they are hearing from customers. When you create useful articles or blog posts, especially when the author is a leader in his or her field, the chances your posts will be lifted are fairly high. So what do you do about it? First of all, you need to figure out your company’s policy on republication. Do you want to restrict it altogether? Or is republishing OK if your company or author is credited and linked to? The site will take you through a set of options. You can choose to allow other uses or not and which restrictions to place on it (i.e., credit the author). The site provides an icon and explanation of the license for you to place on your blog, online article, or any other work, be it a written piece, photo, or graphic. What Are the Customer’s Requirements? What Are the Top WordPress Plugins for Company Blogs?